Now that the dress has been discussed threadbare (pun alert! ), the world can go back to business as usual and talk about more important things like #womenslives. I’m proud to be associated with a campaign for BlogHer called ‘Across Women’s Lives’ initivative. #womenslives is a wonderful way of bring the focus of the world on stories of women and girls changing their worlds and ours. Public Radio International (PRI) and SheKnows Media have partnered on a groundbreaking media partnership, #Womenslives Initiative, to create a social publishing news incubator combining PRI’s enterprise reporting and unprecedented outreach by SheKnows to impact conversation in news media because women’s lives are newsworthy. What really struck me about this programme is a the fact that it believes that women’s lives are newsworthy – yes, ordinary, everyday women like you and me. And secondly, it encourages women to talk about their own lives. Yes, no one can tell our stories as we can. We have the power to change our own lives and by telling our stories, some woman, somewhere might start to believe this too. A couple of weeks ago, I had the opportunity to make a visit to two slums in Hyderabad (in South India), to observe the work of an NGO among the children and women in slums. I came back humbled. I witnessed first hand the passion, the self-belief and the desire of the women and girls there to bring change in their communities. Simple, uneducated women were speaking with so much conviction. When women are empowered to speak, they can truly bring change. 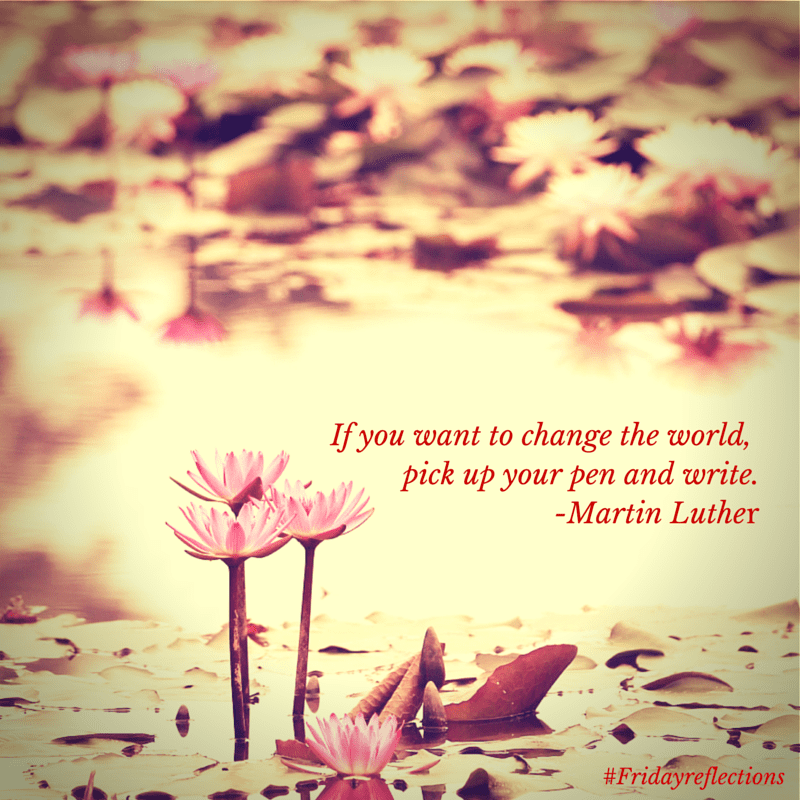 With Women’s Day around the corner, I’m challenging myself to pick up my pen and write. Write to bring change within myself and through my writing to give voiceless women a voice too. Pick up your pen and write, I remind myself today! I write for those women who do not speak, for those who do not have a voice because they were so terrified, because we are taught to respect fear more than ourselves. We’ve been taught that silence would save us, but it won’t. ~ Audre Lorde, a Caribbean-American writer, radical feminist, womanist, lesbian, and civil rights activist. 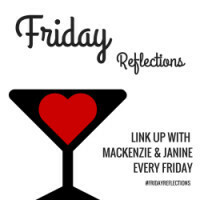 I’m linking into #FridayReflections hosted by two lovely ladies: Janine Ripper and Mackenzie Glanville. Click here to find out more about this link up. Cornnie mam, i use both. My sharp tongue and my pen. And obviously, i am called ruthless for this. You need to use your tongue tactfully, they say. Yet to learn that tact, though. Currently, i use it like a knife, cutting through people’s life and souls. Little wonder, i am hated and most probably frowned upon for this. Sigh…. This is an absolutely inspirational post. I adore the quote about writing for those who don’t have a voice. It resonated with me as I used to be that young woman without a voice, to afraid to speak up, to say ‘hey I need help’, so now I believe in using my passion to write to give young girls, women, elderly and those who suffer a voice. Your post truly touched my soul and I thank you. Powerful post. Don’t know what the dress comment is about – guess I’d better go see as you’re the second person to mention it. First, tho, I am writing myself a note that I need to pick up my pen and write, daily! Thank you for the inspiration.